Get online and research the cost of everything! Remember to think about the costs of excursions, food, drinks and souvenirs. The best thing to do is work out how often you plan to go out, how much you typically drink, if you have any self-catering facilities, and if you need to pay for any of your excursions. You could find a few restaurants which you definitely want to visit and look at the menus to see how much your favorite meal is going to cost. 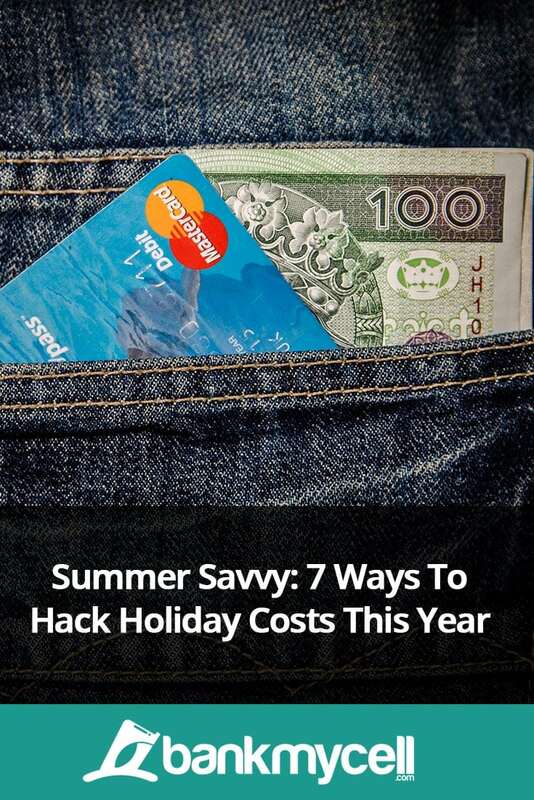 You can also read up on trip adviser reviews to find budget suggestions, and use sites like Expedia, which offer a holiday budget calculator. This will calculate your spending costs by asking how many times you plan to eat out, which activities you plan to take part in and how much you intend to buy out there. Once you have a budget, you can start to really set a goal for how much you want to save. Be organised and get saving early! Go to your bank and ask them if there is a good short term savings account you could set up so you can start putting some money aside. If you only have a few months to save, you probably need to think about curbing your saving and putting what you might spend on those 4 glasses of wine every Friday in a savings account! If you work any overtime or pick up any odd-job shifts then pop this money into a savings account too. One other great way to save is to set up an automatic bank transfer out into a savings account. If you were to transfer just $25 a week, you would have $300 in just 12 weeks – this might not cover your entire holiday but it’s likely a good bulk of your spending money! Boost your budget by selling things you don’t use any more. Old designer clothes sell well on eBay – get anything you don’t wear anymore, wash it and take good pictures. You could make hundreds of pounds depending on what you are selling! Another way to make triple figure cash quickly is by selling old gadgets like old phones and tablets. To do this you can try eBay, Facebook buy & sell groups, or online recyclers. Online electronics recyclers are one of the quickest ways to get a guaranteed price on your old phone. They’ll give you a price there and then, and give you a free shipping kit so you can send off any old gadgets with ease. You can also use sites to compare the phone recycling market and get the best deal. Sites like this will find a whole range of prices for your old device, so you can pick the highest one. When booking a holiday don’t settle for the first offer you see. You could get a much better deal by really browsing the market or going to a travel agents. If you do go to a travel agent, try haggling on the price, if you don’t ask you won’t get! Do your homework so you can be aware of what is out there and then pick the best deal for you. It is also worth using flight comparison sites so you can pick great prices on flights, and then finding your own accommodation or finding an Airbnb. Airbnb means you can stay in the apartment of a local either by yourself or in their spare room. If they are around they are the perfect people to offer you advice on where to eat and where to go! Stay off the tourist routes. Vendors will purposely hike the prices of restaurants on the tourist strips because they know holiday makers will spend more money. By seeking out local restaurants not only will it be cheaper to eat, but you can get a taste of some more authentic food to the region! You can also look for local deals on newsletters like Groupon to make your trip even cheaper. Sites such as ‘Like a Local‘ are great for showing you all the best places which the locals love. The site lists over 200+ cities, and has thousands of locals contributing to it, telling tourists exactly where to go when they are there. If its bars, cafes, or excursions- these guys are the experts. Don’t be fooled into thinking that more expensive sun lotion is better than the cheap stuff. As long as it has a good SPF rating of 30 plus, and a UVA rating of 4-5 then you’re not doing your skin any injustice. Check out places like comparison websites for good deals, or look in Walmart etc for special offers and stock up! A holiday would not be complete without a few trips to the local attractions – but don’t let these break your bank. If you are on a city break, look to invest in a City Tourist Card – these come at a small price but generally save around 50% at most key attractions. You should also look out for special discount days or free days at places like museums. A lot of attractions are free after a certain time or on a certain day (likely a weekday), so make the most to it and plan you’re excursions around that! Let me know your favorite money saving tips by leaving a quick comment below right now!